Why didn't they just release these names back in August? Or was the plan to have a terrible merger and then just change the name once they got it somewhat stabilized? They also look to be dividing their hotels into different categories; Luxury, Premium, Select, and Longer Stays. Perhaps they'll change up the benefits they give at the different levels. i.e. free breakfast at Premium but not Luxury. Are there any changes to the terms and conditions beyond replacing the name of the program and the names of the elite statuses? The one which I'm sure everyone is wondering is when the new redemption levels for Cat 7 and 8 properties will kick in. On August 18, 2018, we introduced one loyalty program with unified benefits under our three loyalty brands — Marriott Rewards, The Ritz-Carlton Rewards and Starwood Preferred Guest (SPG). Today we announce our new name in the final step to complete our integration: Marriott Bonvoy. It means good travel, an idea that inspires everything we do. Marriott Bonvoy is a travel program designed to bring to life our extraordinary portfolio of global brands and more than 6,700 hotels and resorts in 129 countries and territories, while also providing endless inspiration for members to keep traveling and pursuing their passions. Marriott Bonvoy is built on the belief that travel enriches our members and the world around them. Launching on February 13, Marriott Bonvoy replaces Marriott Rewards, The Ritz-Carlton Rewards and SPG. Soon you’ll see our new logo and branding on property, in marketing, and across digital and mobile experiences. Beginning on February 13, Marriott Moments, Marriott Rewards Moments and SPG Moments will be combined into Marriott Bonvoy Moments, featuring 120,000+ experiences in 1,000 destinations. Access sights and excursions where you live and where you travel, or indulge in once-a-lifetime experiences. On February 13, two new names for Elite status tiers will take effect. Marriott Bonvoy Titanium Elite will be the new name for Platinum Premier Elite status, for members who surpass 75 nights, and Marriott Bonvoy Ambassador Elite will be the new name for Platinum Premier Elite with Ambassador status. This top Elite status tier recognizes members who surpass 100 nights and more than $20,000 in spend annually. A new mobile experience will be launched in celebration of Marriott Bonvoy. 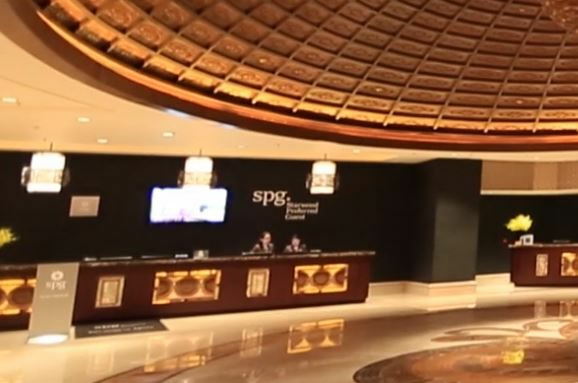 If you’re using The Ritz-Carlton Rewards or SPG app, note that those apps will be deactivated. Download the Marriott App and, on February 13, it will automatically update to become the Marriott Bonvoy App. Oh, for the love of God. Did they retain C.W. McCall as the consultant for this horrific name? darcyt, arf04, TSparky and 1 others like this. A lot of people, self included, are going to have great difficulty uttering the word "Bonvoy." BearX220, Twickenham and Assimilated Cajun like this. I especially wonder about all the business travelers waving bonvoy to their families as they head off to Cleveland. It just seems cheesy. GeneCMH, GSSmith, trouble747 and 1 others like this. This top Elite status tier recognizes members who surpass 100 nights and more than $20,000 in spend annually. Does this imply that hotels are going to follow the atrocious USA airline model and start imposing both PQS and PQD requirements for status? Doesn't really affect me since my only status is from CC, but it's definitely not good for people who spend too much time staying on per diem rates or in crappy suburban hotels that are less than $200/night. Its also an impossible goal for people in many parts of the world, including much of Asia, where even the nicer hotels can be easily had for well under $200/night. KRSW and worldtraveller73 like this. Take it from this Hyatt Globalist, Marriott could have done a lot worse with the name. Markie, BearX220, PointWeasel and 21 others like this. I was similarly loling (for lack of a better word), when we found it online, but it has grown on me. Its significantly less stupid than Hyatt. I do like the old YOU ARE HERE, with the O being a location icon. Wonder if that will resurface. Great! Another opportunity for Marriott to lose our points within a year. KRSW and thomasito like this. There are no substantive changes to the program that members know and love. Rest assured, your Elite status and benefits will remain the same. The only thing that may change is the name of your Elite tier. Brendan and Football Fan like this. Hyatt: "We have the world's worst possible loyalty program name! No one can make it worse!" itsaboutthejourney, CPRich, Football Fan and 18 others like this.